This entire blog or website, mcneilmason.wordpress.com, is dedicated to illustrating the extreme measures that judges at the Eleventh Circuit, U.S. Court of Appeal have deployed to keep from disciplining U.S. District Judge Donald L. Graham, “Teflon Don”, for abusive behavior and misconduct. Are Staff Attorneys at the Eleventh Circuit, U.S. Court of Appeals Deciding Cases and Appeals? It is widely rumored, especially among mere pro se litigants, that staff attorneys, not United States Senate confirmed United States Circuit Court Of Appeals Judges, decide appeals in many cases. While this post will take a look at a couple of cases that the Eleventh Circuit, U.S. Court of Appeal handled, there is no reason to believe that similar practices are not being deployed elsewhere. The overwhelming majority of opinions coming out of the U.S. Circuit Court of Appeals are unpublished opinions which until recently could not be cited as binding authority. The evidence presented here will prove beyond a resonable doubt that staff attorneys, using unpublished opinions, do in fact decide cases, especially mere pro se cases or appeals. See Staff Attorney Offices Help Manage Rising Caseloads. For support of these allegations and others, see Core Allegations. Eleventh Circuit: Notice of Appeal Does Not Divest District Judge of Jurisdiction of Matters Involved In the Appeal! The Purpose of this post is to set forth yet another extreme measure that the Eleventh Circuit deployed in order to conceal and shield U.S. Dist. 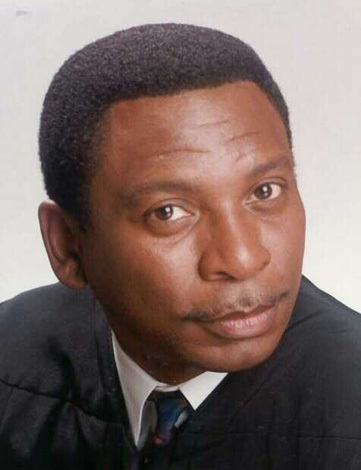 Judge Donald L. Graham from public rebuke and scrutiny. The law clerks or staff attorneys who decide cases at the Eleventh Circuit, U.S. Court of Appeals are making a joke and a mockery of our legal system. This posting discusses a single element of the Eleventh Circuit’s, U. S. Court Appeal Case No. 01-13664-A, an unpublished opinion. This is appeal has been described as: Eleventh Circuit Case No. 01-13664: The Appeal From Hell. This appeal, Case No. 01-13664-A, is loaded with the stench of dishonesty and lawlessness; however, this post will only analyze the single issue of jurisdiction of the lower court, trial court, or district court during the appeal. This posting will show that the Eleventh Circuit used an unpublished opinion to get the desired outcome, affirming Judge Graham, notwithstanding the law and the facts. The Eleventh Circuit took for itself the right to maintain two irreconcilable, inconsistent, and illogical legal positions. First it rightly claimed that an order, pre-filing injunction, rendered on September 20, 2001, Doc. 878, or three months after the notice of appeal was filed on June 25, 2001 was beyond the scope of appeal . See post, “Putrid Dishonesty:Beyond the Scope of Appeal“. Secondly, the inconsistency arose when the Eleventh Circuit rendered its opinion in October 2002, it then used the very same pre-filing injunction, rendered on September 20, 2001 that it claimed was beyond the scope of appeal to affirm Judge Graham. The Eleventh Circuit had it both ways. The reason for this inconsistency is that the Eleventh Circuit badly needed this order included in order to make a finding pursuant to Rule 41(b), Federal Rules Civil Procedure. The icing on the cake and even worse and more dishonest than the taking of two inconsistent legal positions is the fact that the pre-filing injunction, rendered on September 20, 2001, Doc. 878, is actually illegal. At page 3 of the pre-filing injunction of September 20, 2001, Doc. 878, it expressly states: “THIS CAUSE came before the Court sua sponte . ” Sua Sponte issued pre-filing injunctions, or pre-filing injunctions issued without notice and opportunity to respond are routinely rejected as a matter of course. Pre-filing injunctions implicate the right of access to the courts, even Teflon Don recognizes this fact. See pg. 7, Doc. 878, (“This screening requirement best balances the interest in constitutionally mandated access to the federal courts with the need to protect the Court’s jurisdiction and integrity.“). Judge Graham is expressly rejecting the authority of the United States Supreme Court who has said on multiple occasions that the right of access to the courts is constitutionally protected and requires due process before that right is abridged or restrained in any manner. It declared the sua sponte issued pre-filing injunction of September 20, 2001 beyond the scope of appeal and struck Mason’s appellate brief because of it in March 2002. See post, “Putrid Dishonesty:Beyond the Scope of Appeal“. On October 16, 2002, when the Eleventh Circuit rendered its unpublished opinion, it then included the sua sponte issued pre-filing injunction of September 20, 2001 in its decision. The Eleventh Circuit used a clearly invalid sua sponte issued pre-filing injunction to justify its goal of affirming Judge Graham. “If, for example, a precedent is cited, and the other side then offers a distinction, and the judges on the panel cannot think of a good answer to the distinction, but nevertheless, for some extraneous reason, wish to reject it, they can easily do so through the device of an abbreviated, unpublished opinion, and no one will ever be the wiser. (I don’t say that judges are actually doing this–only that the temptation exists.) Or if, after hearing argument, a judge in conference thinks that a certain decision should be reached, but also believes that the decision is hard to justify under the law, he or she can achieve the result, assuming agreement by the other members of the panel, by deciding the case in an unpublished opinion and sweeping the difficulties under the rug. Again, I’m not saying that this has ever occurred in any particular case, but a system that encourages this sort of behavior, or is at least open to it, has to be subject to question in any world in which judges are human beings.” 1 J. App. Prac. & Process 219 (1999). UNPUBLISHED OPINIONS: A COMMENT, Richard S. Arnold, Copyright © 1999 University of Arkansas – Little Rock School of Law ; Richard S. Arnold. Moreover, despite the closure of the case by the district court, Mason’s continual filing of motions with the court addressing matters previously settled prompted the district court to prohibit Mason from further filings without explicit permission and initiate criminal contempt proceedings. Therefore, the record supports the district court’s implicit finding that a sanction less than dismissal of the action with prejudice would have had no effect. This finding is a direct reference to a pre-filing injunction or vexatious litigant injunction rendered by Judge Graham on September 20, 2001. See below. from filing any additional pleadings in case numbers 99-14027- CIV-GRAHAM, 00-14116-CIV-GRAHAM, 00-14201-CIV-GRAHAM, 00-14202- CIV-GRAHAM, 00-14240-CIV-GRAHAM, 01-14074-CIV-GRAHAM, 01-14078- CIV-GRAHAM, and 01-14230-CIV-GRAHAM or from filing any new lawsuit which relates in any way to Plaintiff Marcellus M. Mason’s former employment and/or subsequent interactions with Defendants without first receiving permission from the Court, as set forth below. This injunction shall apply equally to any persons or entities acting at the behest, direction, or instigation, or in concert with Marcellus M. Mason. See Doc. 878, pg. 8. According to the published decisions of the Eleventh Circuit: “It is the general rule of this Circuit that the filing of a timely and sufficient notice of appeal acts to divest the trial court of jurisdiction over the matters at issue in the appeal, except to the extent that the trial court must act in aid of the appeal.” SHEWCHUN v. United States, 797 F.2d 941 (11th Cir. 1986). “It is well-settled law that the filing of a notice of appeal divests the district court of jurisdiction over a case.” WEAVER v. FLORIDA POWER & LIGHT COMPANY, 172 F.3d 771,(11th Cir. 1999)(citing Griggs v. Provident Consumer Discount Co., 459 U.S. 56, 58, 103 S.Ct. 400, 402, 74 L.Ed.2d 225 (1982)). “The general rule regarding divestiture of jurisdiction, however, does not apply to collateral matters not affecting the questions presented on appeal.” id. “The district court’s exercise of jurisdiction should not “materially alter the status of the case on appeal.” Mayweathers v. Newland , 258 F.3d 930 (9th Cir. 2001). Given the above definition, if the sua sponte issued pre-filing injunction, Doc. 878, is involved in the appeal then Judge Graham would not have jurisdiction to enter an order pertaining to “questions presented on appeal”. At pages 13, 14, of the opinion the sua sponte issued pre-filing injunction was clearly involved in the appeal as it used to justify a dismissal of the case under Rule 41(b), Fed.R.Civ.P. ; Consequently, Judge Graham was without jurisdiction to render the order. You can’t on the one hand argue that an order, the sua sponte issued pre-filing injunction of September 20, 2001 is a “collateral issue” and beyond the scope of appeal on March 6, 2002, and then turnaround on October 16, 2002 and include the very same sua sponte issued pre-filing injunction of September 20, 2001 to affirm Judge Graham. Incidentally, as documented below the sua sponte issued pre-filing injunction of September 20, 2001 is clearly invalid. In Mason’s case, he filed a notice of appeal as to the dismissal of his civil case. The September 20, 2001 order did not relate to the issue on appeal, but instead enjoined Mason from filing any further pleadings in the district court without permission. Because the order related to collateral issues, the district court had jurisdiction to issue it. “collateral issue” then how it an integral part of the appeal and the opinion at the same time as demonstrated above? This Court granted, in part, the appellees’ motion to strike Mason’s brief, holding that the portions of the brief that related to the September 20, 2001 order were beyond the scope of appeal. This type of dishonesty simply cannot be tolerated in a free society as it is offensive and insulting. ORDERED AND ADJUDGED that Defendants’ Renewed Motion for Preliminary Injunction is GRANTED… Plaintiff shall correspond only with Defendants’ counsel including any requests for public records.” See Docket Entry No. 246. Highlands County asked and got Judge Graham to dismiss a lawsuit because of alleged violations of these orders, which Mason contended on appeal, were illegal. (For a completely different story and more dishonesty see how the Eleventh Circuit was willing to discuss Mason’s alleged violations of these orders while steadfastly refusing to review these very orders for validity, see posts, “Eleventh Circuit Repeatedly Refuses To Review Orders For Validity” and “A Federal Magistrate May Issue An Injunction So Long As He Does Not Call it An Injunction ” Highlands County filed two motions for sanctions in the form of dismissal of the plaintiff’s lawsuit. Docket Entry Nos. 511 and 646. These motions depicted out of court communications between Highlands County and the Plaintiff, Marcellus Mason. Judge Graham and his Magistrate granted these motions and dismissed the case on June 20, 2001. See Docket Entry Nos. 766 an and 791. The following alleged out of court lawful communications were used to dismiss the lawsuit. “They claimed that, during the week of 5 February 2001, Mason had demanded to view his personnel file from Highlands County’s Human Resource Director Fred Carino, a named defendant in the case.” See Opinion, pg. 4. They stated that, on 13 and 14 February 2001, Mason also appeared at Carino’s office and demanded to view the billing records for Highlands County’s attorney and Highlands County’s liability insurance documents. See Opinion, pgs. 4-5. They attached a copy of an e-mail apparently sent by Mason in which he explained that he would file a criminal complaint against Carino if he was denied any requested documents and expressed his belief that the county had “waived” its rights under the Orders as a result of Carino’s conversations with Mason and letter. See Opinion, pg. 5. On 6 April 2001, Heartland again moved for sanctions in the form of dismissal because Mason had “repeatedly personally contacted [by e-mail] supervisory employees and/or individual Defendants” in the case since the magistrate judge’s 27 March order. See Opinion, pg. 6. The Eleventh Circuit “has clearly stated that because dismissal is considered a drastic sanction, a district court may only implement it, as a last resort, when: (1) a party engages in a clear pattern of delay or willful contempt (contumacious conduct); and (2) the district court specifically finds that lesser sanctions would not suffice.” World Thrust Films v. International Family Entertainment, 41 F. 3d 1454 (11th Cir. 1995). “A district court has authority under Federal Rules of Civil Procedure 41(b) to dismiss actions for failure to comply with local rules.” id..
On September 20, 2001, Judge Graham rendered a pre-filing injunction sua sponte, or own his motion and without notice and opportunity to respond which is a violation of due process. Docket No. 878. The validity of this sua sponte pre-filing injunction is not the point of this posting, however ample case law against its validity is set forth in http://mmason.freeshell.org/SuaSponte.htm#caselaw. The goal of this post is to seek help getting the injunctions in this post subject to appellate review. As demonstrated below, Mason has been unable to obtain appellate review of these orders. Where are the Defenders of the First Amendment? “The right of petition is one of the freedoms protected by the Bill of Rights,… Certainly the right to petition extends to all departments of the Government.” California Motor Transp. Co. v. Trucking Unlimited, 404 U. S. 508 (1972). In fact, as documented below, the Eleventh Circuit, U.S. Court of Appeal has avoided appellate review of these orders like they were a highly contagious plague. Judge Graham is of the apparent belief that he is not bound by the orders of the United States Supreme Court, “SCOTUS”. Judge Graham has a history of defying the Supreme Court’s holdings anytime he disagrees with them. See Florida Judge Thumbs His Nose at U.S. Supreme Court Rulings on Thumbs His Nose And Attorneys’ Fees and Florida Judge Thumbs His Nose at U.S. Supreme Court Ruling on Poor People’s Right to Access The Courts. Judge Graham disagrees with his colleagues at the DC Circuit who have stated: “The limits placed by the First Amendment on the Government extend to its judicial as well as legislative branch.” Equal Emp. Opp. Comm. v. The Catholic Univ., 83 F.3d 455 (D.C. Cir. 1996). Other courts, including the old Fifth Circuit Circuit whom Judge Graham is legally bound to follow, have found orders such as the orders as described here to be unconstitutional. see Lewis v. S. S. Baune, 534 F.2d 1115 (5th Cir. 1976)(reversing an order which prohibited appellant from “discussing, directly or indirectly, settlement . . . with the plaintiffs” and from “contacting, communicating, or in any way interfering with the attorney-client relationship” as “too sweeping a restraint”); Bernard v. Gulf-Oil Co., 619 F.2d 459, 466 (5th Cir. 1980) (en banc), aff’d, 452 U.S. 89, 101 S.Ct. 2193, 68 L.Ed.2d 693 (1981),( explicitly held that requiring the litigant to meet the Court’s “post-communication filing requirements” of constitutionally protected communication was unconstitutional.). Additionally, in Test Masters Educational Services, Inc. v. Singh, 428 F.3d 559, 579 (Fed. 5th Cir., 2005) the court held that an order which enjoined a litigant “from communicating directly with, threatening, or harassing Test Masters Educational Services, Inc., its employees, its staff, or TES’s counsel, counsel’s employees, or counsel’s staff” constituted an invalid prior restraint and a unconstitutional limitation on free speech. The speech and orders described in this post have not been subjected to appellate review. It is, among other things, for this reason that Judge Graham can be accurately described as “Teflon Don”. In what can only be described as judicial treachery and dishonesty, the Eleventh Circuit, on a direct appeal spent an amazing 14 pages talking about the violations of the orders in this post, but none about their validity. This appeal has been described as the appeal from hell, see post entitled “Eleventh Circuit Case No. 01-13664: The Appeal From Hell“. The Eleventh Circuit appears to be hell bent on not reviewing these orders for validity as it has absolutely refused to conduct appellate review of these orders on multiple occasions while asserting a different reason each time for its refusal to review these orders. See post “Eleventh Circuit Repeatedly Refuses To Review Orders For Validity“. Can Judge Graham be called anything other than “Teflon Don”? “The First Amendment guarantees “the right of the people . . . to petition the Government for a redress of grievances.” The right to petition is cut from the same cloth as the other guarantees of that Amendment, and is an assurance of a particular freedom of expression. In United States v. Cruikshank, 92 U.S. 542 (1876), the Court declared that this right is implicit in “[t]he very idea of government, republican in form.” Id., at 552. And James Madison made clear in the congressional debate on the proposed amendment that people “may communicate their will” through direct petitions to the legislature and government officials.” McDonald v. Smith, 472 U.S. 479, 482 (1985). The Supreme Court has consistently stated that any system of prior restraints of expression bears a heavy presumption against its constitutional validity. Bantam Books, Inc. v. Sullivan, 372 U.S. 58, 70 (1963);Near v. Minnesota, 283 U.S. 697, (1931);New York Times Co. v. United States, 403 U.S. 713 (1971). This burden is so heavy that in over two centuries, the Supreme Court has never sustained a prior restraint involving pure speech, such as the one at issue here. See Matter of Providence Journal Co., 820 F.2d 1342, 1348 (1st Cir. 1986). “[P]ure speech–speech not connected with any conduct”. id. The presumption of unconstitutionally of prior restraints has been described as “virtually insurmountable” by Supreme Court judges and others. id. (citing Near, 283 U.S. at 713). “Prior restraint has traditionally been defined as a “predetermined judicial prohibition restraining specified expression . . . .The essence of prior restraint is that it places specific communications under the personal censorship of the judge.” Bernard v. Gulf-Oil Co., 619 F.2d 459, 470 (5th Cir. 1980) (en banc) aff’d, 452 U.S. 89, 101 S.Ct. 2193, 68 L.Ed.2d 693 (1981). “The right of the people to inform their representatives in government of their desires with respect to the passage or enforcement of laws cannot properly be made to depend upon their intent in doing so. It is neither unusual nor illegal for people to seek action on laws in the hope that they may bring about an advantage to themselves and a disadvantage to their competitors.” Eastern R. Conference v. Noerr Motors, 365 U. S. 127 (1961). Judge Graham has banned the following lawful and protected communications with the Highlands County Government. During the week of February 5, 2001, Plaintiff knowingly violated this Court’s Orders of June 19, 200 and July 25, 2000. Plaintiff appeared at the office of Fred Carino, Human Resource Director of Highlands County and a supervisory employee of a named defendant in this action, and demanded to view his personnel file. This request was made directly to Mr. Carino’s office and not through Defendant Highlands County ’s counsel. Mr. Mason returned to Mr. Carino’s office a second time on February 14, 2001 and knowingly violated this Court’s Orders of June 19, 200 and July 25, 2000. He demanded to view Defendant Highlands County ’s Insurance Document of Coverage, a document that had previously been produced to him. This request was made directly to Mr. Carino’s office and not through Defendant Highlands County ’s counsel. Notwithstanding, the document was produced to him. During this visit, Plaintiff became loud, aggressive, disruptive, and questioned the need for Mr. Carino’s presence during his review of the document. Plaintiffs conduct in violation of this Court’s Orders of June 19, 2000 and July 25, 2000 require a dismissal with prejudice of all of plaintiff’s claims in the above-referenced matter. Since April 3, 2001 – subsequent to the Court’s March 27th Order – Plaintiff has repeatedly personally contacted supervisory employees and/or the individual Defendants about matters related to this case. Specifically, Plaintiff sent e-mail communications directly to supervisory employees of the Defendants, which discussed the “no trespass warnings” that were issued against Plaintiff, Plaintiffs tortious interference claim, as well as Allen, Norton & Blue’s “track record” of litigating appeals (including Eleventh Circuit appeals). (Exhibit 1). All of Plaintiff’s claims arise from the same set of facts and are all related, and he should simply not be allowed to continuously disregard Orders of this Court and blatantly challenge the Court’s authority. Marcellus M. Mason, Jr. of Sebring, Fl. filed an employment discrimination lawsuit against the Highlands County Board of County Commissioners and Heartland Library Cooperative and other governmental entities and individual government employees in February 1999 bearing Case No. 99-14027-CIV-Graham. The case was originally assigned to then Chief Judge Edward Davis who retired. On February 20, 1999, Judge Davis allowed Mason to proceed in forma pauperis, “IFP”, or to proceed without paying the required filing fee for a lawsuit. Docket Entry No. 3. This case was ultimately assigned to Judge Donald L. Graham and Magistrate Frank Lynch Jr., Case No. 99-14027-CV-Graham/Lynch. After protracted litigation, the case was dismissed, not on the merits of the case, but based upon banned and irrelevant out of court constitutionally protected and legal communications between Highlands County and Mason. “R&R” (D.E. 766), Order adopting R&R (D.E 791). See Banned Communications. “Plaintiff shall correspond only with Defendants’ counsel including any requests for public records.” (DE #246). “Plaintiff shall be prohibited from contacting any of the Defendants, including their supervisory employees and/or the individual Defendants, regarding any matter related to this case.” (DE #246). This order is dated July 25, 2000. On March 2, 2001, Highlands County Board of County Commissioners attorneys, Allen, Norton & Blue, filed a “DEFENDANTS’ MOTION FOR SANCTIONS IN THE FORM OF DISMISSAL OF PLAINTIFF’S ACTION AND SUPPORTING MEMORANDUM OF LAW“. See Docket Entry No. 511. This motion sought dismissal of the lawsuit due to alleged out of court communications with the Highlands County Government in violation the injunctions mentioned above, (DE #201) and (DE #246). On April 9, 2001, the Defendants’ filed a second motion for sanctions in the form of dismissal of Plaintiff’s lawsuit for more alleged out of court communications between Mason and the Highlands County Government. See Docket Entry No. 646. On May 31, 2001, the Magistrate, Frank Lynch, Jr., prepared a Report and Recommendation, “R&R”, recommending that the lawsuit be dismissed because of these out of court communications between Mason and his local government, Highlands County Board of County Commissioners. Judge Graham accepted this R&R in whole with no changes or comments. On September 20, 2001, Judge Graham affirmed his authority to prohibit out of communication between Mason his government, Highlands County. (“including continual attempts to directly communicate with the Defendants rather their attorneys, the Court enjoined Mason from any further contact with the Defendants or Defendants” employees. Mason, however, ignored the Court’s order and continued to contact the Defendants.”). See pg. 4, (D.E. # 878) . Question the personal integrity of Federal Magistrate John J. O’Sullivan. Vindicate the personal integrity of Marcellus Mason. To show how a judge can fit the “facts” around desired outcome and place the document beyond public scrutiny. Magistrate John J. O’Sullivan left out the material fact that the Eleventh Circuit, on appeal, refused to discuss the validity of two orders, though fully briefed, (DE# 201 and 246), that it claimed that Marcellus Mason violated. It is really quite a remarkable story in that the Eleventh Circuit spent 14 pages talking about Mason’s supposed violations of these orders, but none talking about their validity which is the reason the appeal was filed in the first place. It could have saved itself some pages and “judicial resources” by simply recognizing the orders are not legal in the first place. However, the Eleventh Circuit chose to give the illusion of “meaningful appeal”. On June 15, 2000, Docket Entry 199, and July 12, 2000, Docket Entry 231, Maria Sorolis and Brian Koji, Allen, Norton Blue asked Judge Graham’s Magistrate, Frank Lynch, Jr., to grant them preliminary injunctions that required Mason to contact them before he could talk to the government defendants, the Highlands County Board of County Commissioners. These orders required Mason, a nonlawyer, living in Sebring, FL to contact private attorneys some 90 miles away in Tampa, FL. These orders were granted by the Magistrate, Frank Lynch, Jr., on June 19, 2000 and July 25, 2000. On June 19, 2000, the Honorable Magistrate Judge Frank J. Lynch entered an Order granting Defendants a preliminary Defendants in this action. Upon notice that Plaintiff was violating this order, Defendants filed a Renewed Motion For Preliminary Injunction. On July 25, 2000, Magistrate Judge Lynch entered an Order granting Defendants’ Renewed Motion for Preliminary Injunction, once again prohibiting Plaintiff from contacting any of the Defendants in this action or their supervisory employees. Magistrate Judge Lynch also ordered that Plaintiff shall only correspond with Defendants’ counsel. Plaintiff then moved to rescind the July 25, 2000 order, however, on August 15, 2000, Magistrate Judge Lynch denied Plaintiff’s Motion to Rescind. Plaintiff appeals the August 15, 2000 ruling. After careful review of the file and the pertinent portions of the record, the Court finds that Magistrate Judge Lynch’s ruling is not clearly erroneous nor is it contrary to law. See Fed. R. Civ. P. 72; see also Cooper-Houston v. Southern Railway Company, 37 F.3d 603 (11th Cir. 1994). (DE #201), datd June 19, 2000. A declaration that the so-called “discovery orders”, Case No. 99-14027-CV- Graham, (D.E. #201, dtd. 6-19-2000) and (D.E. #2461, dtd. 7-25-2000), are unconstitutional. The “Motion to Vacate Conviction”, Document No. 106, uses nine pages, 15-23, of small type, 10 point, to argue that the orders are invalid and unconstitutional. Apparently, Judge O’Sullivan is unable to reach the desired outcome so he just ignores the arguments. C. Memoranda of Law. Each party opposing a motion shall serve an opposing memorandum of law not later than ten days after service of the motion as computed in the Federal Rules of Civil Procedure. Failure to do so may be deemed sufficient cause for granting the motion by default. The following is a direct quote from the Report and Recommendations authored by Federal Magistrate Judge John J. O’Sullivan. The undersigned notes that in his appeal to the Eleventh Circuit, appellate Case no. 01-13664, the defendant made essentially the same arguments he makes here with respect to Judge Lynch’s Orders (DE# 201 and 246). See Mandate (DE# 929 in 99-cv-14027-DLG, 4/18/03). The defendant argued that the Orders (DE# 201 and 246) violated his First Amendment and Florida state-law rights to petition Florida government officials and to request public records. Id. at 11. Notwithstanding the defendant’s arguments, the Eleventh Circuit affirmed the district court’s dismissal of case no. 99-cv-14027-DLG based on the defendant’s continued violations of the orders issued in that case. Accordingly, the defendant’s request for a declaration that Judge Lynch’s Orders (DE# 201 and 246) are unconstitutional should be DENIED. DE# 929, is 17 pages consisting of three documents: (1)a cover letter from the Eleventh Circuit; (2)a mandate from the Eleventh Circuit; (3)An unpublished “opinion”, Case No. 01-13664, a direct appeal. The quoted statement comes from page 11 of the document and page 9 of the opinion. The undisputed fact is that Judge O’Sullivan was being untruthful. Yet again, Teflon Don, avoids scrutiny again. The Fifth Circuit, U.S. Court of Appeal has rejected a similar injunction as unconstitutional. According to the Fifth Circuit, U.S. Court of Appeal, Test Masters Educational Services, Inc. v. Singh, 428 F.3d 559, 579 (Fed. 5th Cir., 2005) an order that an order enjoined a litigant “from communicating directly with, threatening, or harassing Test Masters Educational Services, Inc., its employees, its staff, or TES’s counsel, counsel’s employees, or counsel’s staff” constituted an invalid prior restraint and a unconstitutional limitation on free speech. Judge Vanessa D Gilmore in Test Masters who was reversed, while Judge Graham has escaped appellate review because the Eleventh Circuit has declined to review his orders or injunctions for validity in what has to be a record number of times. See this mcneilmason.wordpress.com posting “Eleventh Circuit Repeatedly Refuses To Review Orders For Validity“. Yet again, Judge Graham has avoided appellate rebuke while his colleagues have not be so fortunate. Judge Graham has frequently benefited by such disparate treatment. See postings, “Eleventh Circuit Uses Same Set of Facts To Reverse One Florida Judge While Affirming Another Florida Judge” and ““Teflon Don” Avoids Reversal While Colleague Judge Ursula Ungaro-Benages Suffers Reversal“. The myth of the “Teflon Don” grows larger! Judge Stanley F. Birch, Jr., Judge Susan H. Black, and Judge Stanley Marcus, rendered a prolix 14 page opinion on October 16, 2002 that does not discuss the validity of these orders. It is quite remarkable in that The Eleventh Circuit is single-mindedly focused on alleged out of court communications with his government by Mason as alleged violations of the orders above while steadfastly refusing to review the validity of these orders. On appeal, Mason argues that the magistrate’s discovery orders enjoined him without legal authority and violated his First Amendment and Florida state-law rights to petition Florida government officials and to request public records.” See Pg. 10. Even though The Eleventh Circuit admitted the orders in question were being tested for validity on appeal, The Eleventh Circuit refused to review these orders for validity.